This is a heart shaped, hanging decoration. 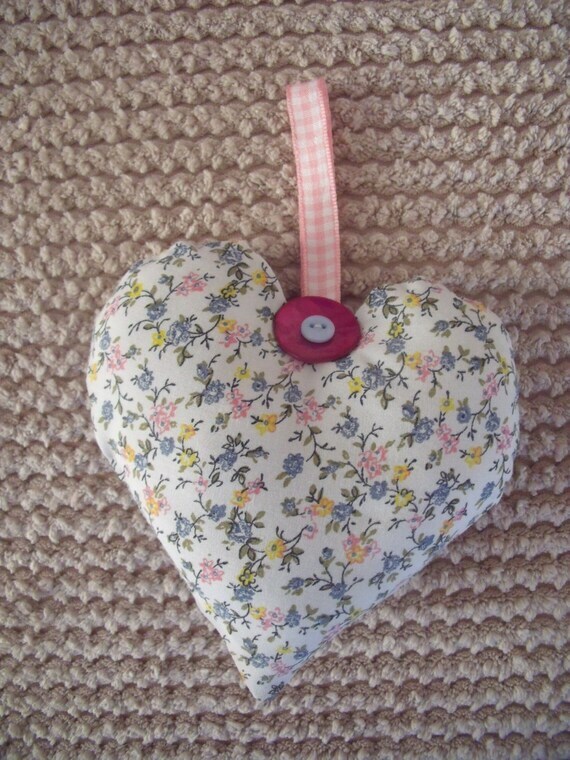 It was handmade by me in my little sewing room here in the Lincolnshire Fens. It is made with a tiny floral print in blue, pink and lemon fabric and has 2 decorative buttons. It has a pink gingham ribbon for hanging. It is filled with polyester wadding. This would make a good small gift and would look lovely hanging on the side of your bed head or anywhere else around your house. A is for " Amour "